My Wisdom Teeth Are Coming In... Do They Need to Be Pulled? Where are your wisdom teeth? Peek inside your mouth. On each side of both your upper and lower jaws are three molars. The third in that lineup, at the back of your mouth – those are your wisdom teeth. That means you can have up to four wisdom teeth in your mouth, although it is common for some people to be missing one or more of them. You generally would get your wisdom teeth in your late teens or early 20s. Do I need to have my wisdom teeth pulled? Maybe… or maybe not. It depends how they grow in. Unfortunately, wisdom teeth tend to be impacted, meaning that they do not grow into the proper position. Impacted teeth can cause other teeth to shift, leading to potentially damaged teeth or gum issues. 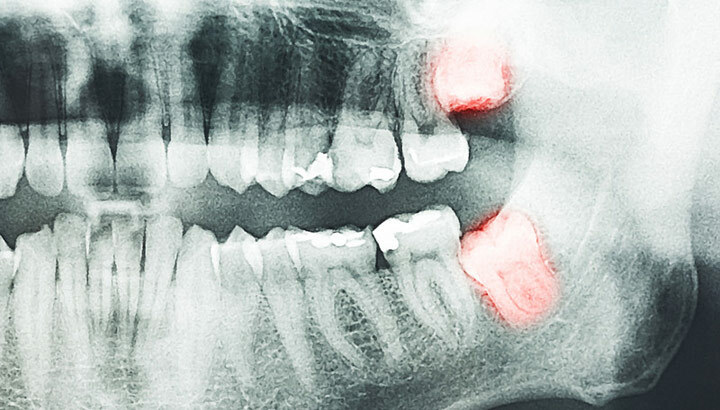 What’s more, impacted wisdom teeth can cause you pain and possibly lead to cavities. However, if your wisdom teeth do grow in properly, then you don’t need them removed. If you are having issues with your wisdom teeth, make an appointment with your dentist for a full assessment. When should I have my wisdom teeth pulled? If you do need your wisdom teeth removed, then the earlier the better. The longer you wait, the greater the chance for a wisdom tooth to become more impacted, leading to greater difficulty in removing the tooth and for damaging other teeth and your gums. Your dentist can tell how many wisdom teeth you have, if they need to be removed, and when the best time is to remove them. And with dental technology advancing all the time, the horror stories of yesteryear won’t necessarily reflect your experience today. Take care of your teeth, take care of yourself. How Often Should I Replace My Toothbrush and Why? What Can I Do To Stop My Gums from Receding?